Holding the clipboard and standing aside the court, the coach is organizing the next offense tactics. 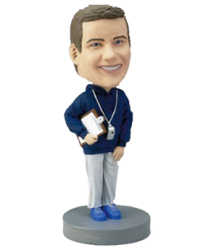 With profound wisdom and overall view, the coach is always leading the team on the right track. 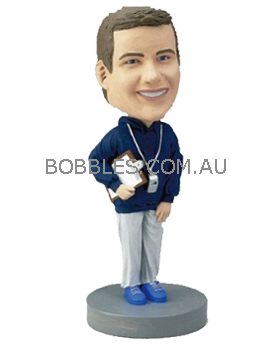 If you want to show your appreciation to the great trainer, this personalised bobblehead will help you make him laugh.